" I don`t want to look back someday an realize I wasted my time. I want my life to count for something important." " This world is a very needy place. If my Christian faith means anything at all, I`ve got to figure out what I can do about it." HAVE YOU EVER ASKED YOURSELF, What difference am I making with my life? On some level, we all struggle to find our own answer to that fundamental question. The search for significance is the underlying motivation for virtually all human activity. It`s what drives us. Whitney T. Kuniholm, president of Scripture Union/USA, addresses these core questions by taking you on a fast-paces journey through fifty brief devotional reflections from the book of Acts. He draws on the question the apostle Paul asked Jesus: " What shall I do, Lord ?" (Acts 22:10). The experiences of the first Christians show us that God has a mission, an essential mission, for all of his people--whether it is to serve him faithfully in the marketplace, in the home, in school, in the military or someplace else. 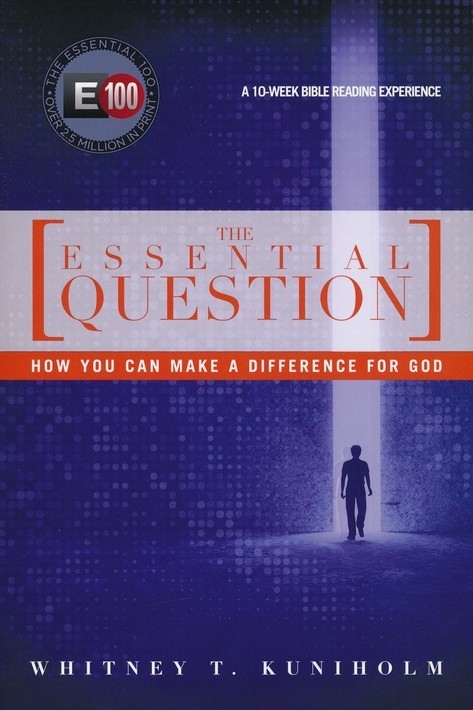 The Essential question is perfect for groups and churches that want to read the book of Acts together and then make a difference for God in their community and the world. 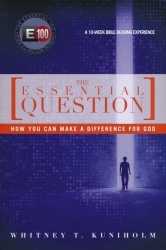 Are you ready to answer the essential question?